One of the first questions people have when it comes to buying an electric car is about charging it – where are the charging points and how do they work? This guide will aim to answer those questions and many more about electric car charging points. We’ll go through all the different types of charging station, how much they cost and provide an overview of how to use them and charging etiquette. The focus of this guide is mostly on purely electric cars, although a lot of what we will cover also refers to plug-in hybrid cars. What is a charging point? How many public electric car charging stations are there? Who runs the UK’s charging stations? Who operates motorway charging stations? Do different cars have different charging connectors? Can I install a charging point at home? The first place to start is to confirm exactly what we mean by a ‘charging point’. Unlike with petrol stations, electric car charging stations don’t tend to have dedicated forecourts and a convenience store and coffee shops attached to them. Public car charging points are usually just a simple set of charging posts that can charge one car at a time. They are usually found at places like shopping centre and multi-storey car parks, motorway service stations and so on. These large focal point locations are becoming more popular for public charging stations rather than individual on-street points, as UK drivers tend to drive just 20 miles each day on average – so do not have a huge need to be able to charge while out and about unless they are on a motorway or have travelled out of town to a shopping centre or something similar. There is no set number of individual points that make up an electric car charging station, and the on-street charging points tend to just be either one or two. As more and more drivers in the UK turn to electric cars, the number of charging stations are growing all the time. As you can see, those numbers are continually increasing, with 700 new locations added in the past year alone. If the growth rate continues at this pace then it won’t be long until the amount of electric car charging stations overtake the 8,500 petrol and diesel stations in the UK. There is no-one company that operates the charging points, with the charging network in the UK owned by a variety of different firms. Some of these energy firms require chargers to register with them and carry a swipe card to operate their charging points, while others are worked via a smartphone app. 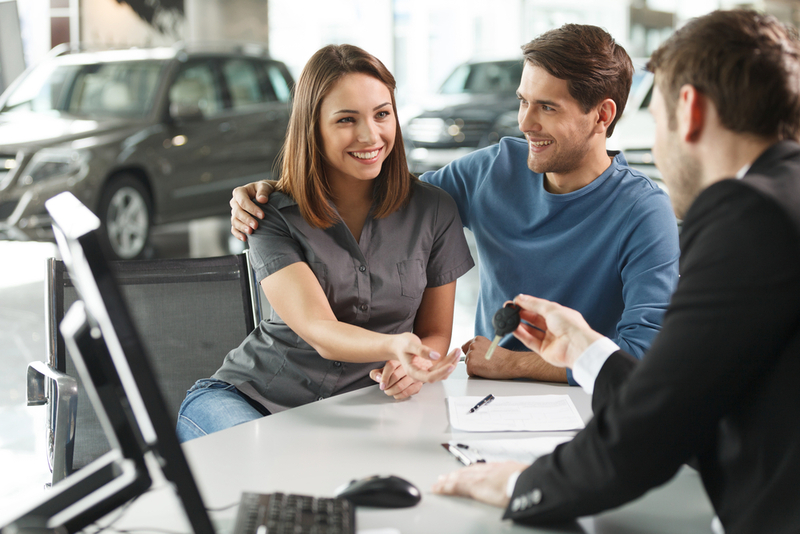 If you own, or are planning to buy, an electric or plug-in hybrid vehicle then you will probably have to register for a variety of different charging companies. 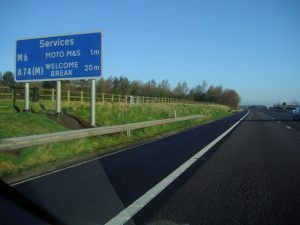 The only company that currently provides electric car charging points in motorway services is Ecotricity, which now has 145 charging stations located on UK motorways and A-road service stations. They used to be free to use, but they now cost £6 for 30 minutes of charging – although if you sign up for Ecotricity’s domestic electricity supply then you get 52 free charges every year. Originally Ecotricity came in for some criticism when they introduced pricing to their charging stations. However, the company said this was to prevent the owners of plug-in hybrid cars from ‘hogging’ the free charging points for too long when they still had petrol as a back-up – which was preventing drivers of purely electric cars from using them. Due to all the different types of electric cars, and the varying charging stations available, it probably won’t come as a surprise for you to learn that the time it takes to charge an electric car can vary quite a bit. Rate: 3kW (slow charging). A full charge will take approximately eight hours on a slow charging station. Rate: 7-22kW (fast charging). Fast charging points are those that provide anywhere between 7-22 kilowatts, and will take around three or four hours to fully recharge an electric car battery. Most public charging points in the UK are in this category. Rate: 43-50kW (rapid charging). These stations are quite rare, as only a few electric car models are compatible with rapid charging e.g. Tesla Model S and Kia Soul EV. These points can provide an 80% charge in just 30 minutes. 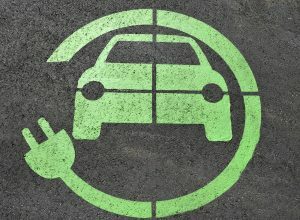 The rate at which a car can recharge is an important consideration when buying an electric car. For instance, the entry-level Nissan Leaf can only accept a charge rate of 3.7 kW – which means it will take approximately eight hours to charge fully. If you opt for Nissan’s 6.6kW option, the charge time will reduce by half. Not all electric cars have the same charging connector, but there are not that many different types. There are two main types of connection to consider: the one that connects to your car, and the one that connects to the power outlet. Slow chargers: These have either a Type 1 (J1772), or a seven-pin Type 2 (Mennekes) connector. Fast chargers: Nearly all fast charge points have the Type 2 (Mennekes) connector, although some may use the Type 1 (J1772). Rapid chargers: These points come in either AC or DC. AC chargers are quire rare and only have a Type 2 (Mennekes) connector. The DC rapid chargers use a JEVS (CHADeMO) or a CCS (Combined Charging System) connector. The CHADeMO connectors are from Japan and fit rapid charging electric car models made by Nissan, Mitsubishi and Toyota. Those made by BMW, Ford and Volkswagen use the Type 1 (J1772) connectors and the CCS system. If you have an electric car a sensible option is to have a charging point installed at home – which is quite an easy process. 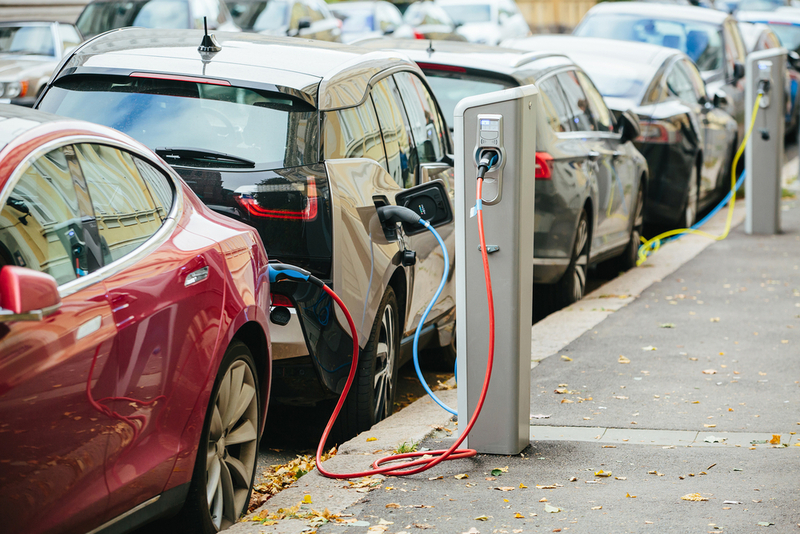 It is estimated that approximately 80% of electric car charging happens at home, and the Government offers a grant towards the cost of installing your own charging point. The grant is capped at 75% of the cost of installation or £500, although some electric car manufacturers will take on the full cost of installation. As well as knowing where the charge points are, and making sure you are using the correct connectors for the charge rate of your vehicle, you also need to have a good understanding of the etiquette around using electric car charging stations. Make sure you keep an eye on the charge status of your car. When the batteries are nearly charged (or charged to 80%, which many consider to be the ideal amount) you should unplug your car and move it away from the charging point so other motorists can use it. Plug-in hybrids should give priority to pure electric cars. Plug-in hybrid cars have petrol as a fall-back option, so if a fully electric car needs the charging point you are using then etiquette dictates you yield and let them charge their batteries first. Never unplug someone else’s car. If you are at a charging station and see an electric car that has been left on charge for a long time, you should seek a member of staff to make an announcement on the tannoy system. 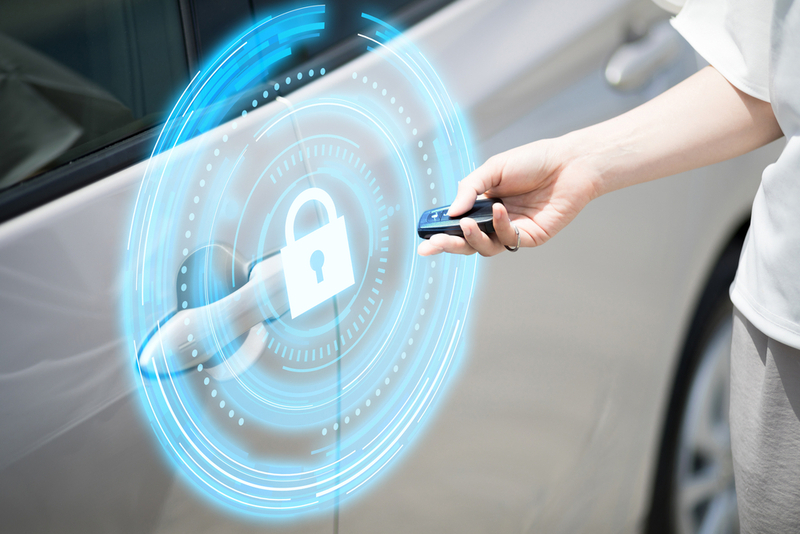 Although some people will not mind if you unplug their car once it has finished charging, you should not assume this is appropriate – particularly as some connectors will not let you unplug them if the car is locked. Put the charging cable back neatly when you’re finished charging. As well as generally looking untidy, a loose cable can be a trip hazard or be run over and damaged if it is just left on the road. Although more and more charging stations are appearing across the UK all the time, it is still a fact that being an electric car owner requires a bit more thought and planning than driving a petrol or diesel car. Journeys that take you beyond the battery life of your car will definitely require more pit stops than you are used to – which will also take longer as charging can take anywhere from 30 minutes to eight hours. Despite this, there are some huge advantages to owning an electric car. First of all, they are very cheap to run as the cost of charging is almost negligible when compared to fuel prices. There’s also the benefit of not having to pay road tax as they do not emit any harmful pollutants – which also means you are doing your bit for the environment. It is also important to remember that the technology around electric cars is still very much in its infancy. 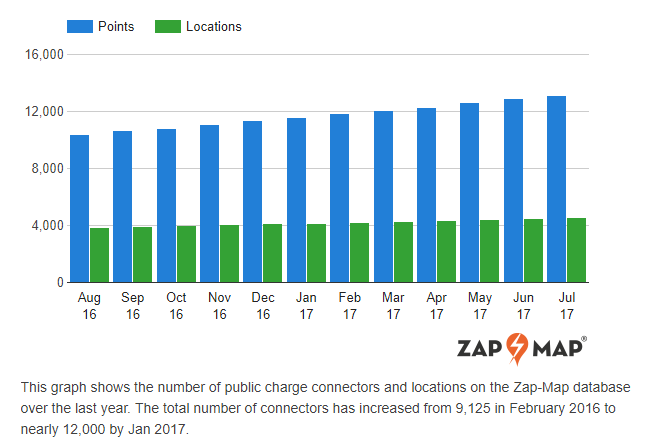 The first charging points for public users only began to appear in the UK in 2007 – so it is impressive that the charging network has grown so much in such a short time. Just imagine how it will be in another 10 years time! Although it is progressing quickly, there are still some issues that need to be sorted out. In particular the number of different connectors is confusing for consumers, and is an area where an industry standard is required. Likewise, the way motorists pay for charging could also be standardised to avoid confusion. Perhaps the biggest area that needs attention is charging at home. 30% of UK households do not have garages or driveways and have to park on the street, so charging an electric car is particularly difficult for them.